R.O. 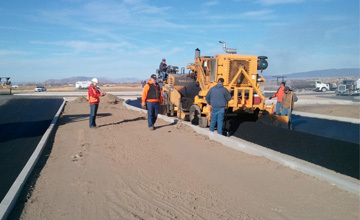 Anderson is experienced in providing pavement management and rehabilitation design services for both private and public clients in Northern Nevada. We are experienced in performing initial surveys of the condition of the existing asphalt, inputting this information into pavement maintenance software (e.g., MicroPaver), then making specific recommendations for rehabilitation projects that best use and optimize available budget dollars. A variety of rehabilitation techniques are available. 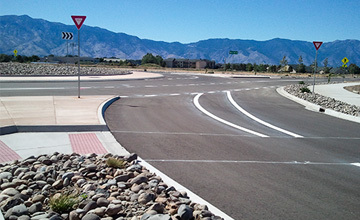 These range from a light fog seal to crack-filling, chip seal, slurry seal, grind with overlay, culminating with full road section reconstruction. Selection of an appropriate approach depends on a combination of design goals and budgetary constraints. In 2007 the functional classification of the master planned roadway, Muller Parkway, was upgraded from a major collector to a minor arterial in the Douglas County Transportation Plan. Later in that year, Douglas County adopted a revision to the Douglas County Design Criteria and Improvement Standards (Design Manual), which required separation of collector and arterial roadway intersections to be a minimum distance of 1,320 feet. 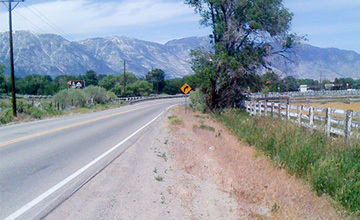 This resulted in an inconsistency between the Transportation Plan for the Pinenut Road/Muller Parkway intersection and the Design Manual’s traffic requirements. We prepared an amendment to the Transportation Plan in order to correct this inconsistency. The amendment included the relocation of Pinenut Road (a master planned collector road) as it intersected with Muller Parkway, as well as, an amendment to the Trails Plan consistent with the realigned roads, and to adjacent land uses. Following approval by the Douglas County Board of Commissioners, R.O. Anderson designed the project and prepared the plans, technical specifications, and cost estimates for Peri Enterprises who will both dedicate and construct these regional road improvements. The project is complete. The Owner was able to obtain County approval of an overall commercial master plan for his affected properties providing benefits to him and the community at large. ©2019 RO Anderson. All Rights Reserved.